How a single navigation error cost the Royal Navy Four battleships and 1,505 men – and led John Harrison, humble carpenter to solve one of the most difficult & important engineering challenges in maritime history: The Longitude Problem. In 1707, twenty-one British gunboats departed Gibraltar, a British enclave on the southern coast of Spain, on the Mediterranean, and they sailed to the British Isles. It was a flotilla sent to attack the French city Toulon, as part of the war between England and Spain. The attack on Toulouse ended with mixed results. Although the British fleet managed to burn a few French boats, it was eventually defeated by a combined Spanish & French army. When the fighting stopped, the British flotilla made its way home since winter was about to start. But they were too late. Not long after leaving the harbor, the boats ran into severe weather. As they got further into the Atlantic Ocean, the wind, rain and waves got even stronger. The flotilla commander was Admiral Cloudesley Shovell. On October twenty-first, after three weeks at sea, the British admiral summoned all the navigators of the other ships to his flagship, the H.M.S. Association. He asked navigators one simple question: Where are we? This might sound like a simple question to ask now, but it wasn’t an easy one back then. All the ships’ navigators agreed that the flotilla was located south of the British Isles, near the English Channel’s opening. But exactly where within the channel? Well, That was a much more difficult question. Twenty out of the twenty-one navigators believed the flotilla was located close to the east bank of the channel, not far from the shores of France. One navigator, however, disagreed: In his opinion, they were close to the Scilly Islands, a small group of islands in southern England. In other words, he thought that the ships were closer to the west bank of the channel. Admiral Shovell chose to accept the majority opinion. That sounds like a pretty reasonable decision. This was a decision any commander would have made in his place, and it’s worth noting that Shovell was an experienced and acclaimed officer. He was well respected in the Navy. A convoy of merchant ships was seen passing by near the flotilla, and Admiral Shovell instructed four speedy ships to leave the flotilla and sail ahead in order to accompany the merchant ships. Thinking they were near France, the four ships sailed to the north-east, heading towards Portsmouth in England. But it turned out that it was the lone navigator who was correct: The flotilla wasn’t near France, but very close to the treacherous sandbanks and the destructive waves of Scilly Islands. The four ships were thrown to the rocks, and it was only luck that allowed their captains to bring them to shore and avoid sinking. Unfortunately, they had no way to communicate with Admiral Shovell, who was completely blind to the danger he was facing. An old myth claims that one of the sailors, who was raised on the Scilly Islands, managed to identify the islands by their smell. He warned the admiral about the islands, but the admiral thought the sailor was trying to incite mutiny in the crew – and had the sailor hanged…. Whether this myth was an actual event, is a question we will never be able to answer. The H.M.S. 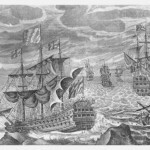 Association, the fleet’s flagship, where the admiral was, led the fleet. On October twenty-second, at eight o’clock at night, the ship’s scouts noticed waves crashing on the sand-banks of the Scilly Islands. They sounded the alarms – but it was too late. The big ship crashed into the rocks so forcefully that it sunk within just four minutes… All eight hundred crew members on board were killed. And it was just the beginning. Two other ships saw the flagship sinking – but had no time to change their course. One after the other, they shattered on the sand-banks, each carrying a few hundred crew members. A fourth ship, the H.M.S. Firebrand, crashed into the same sandbank that sunk the Association only a few minutes earlier. Its fate was almost sealed, but at the last second a huge wave released it from the rocks and allowed the captain to move the ship away from the island before drowning. Twenty-eight out of the forty sailors on board that ship survived. After that, the rest of the fleet’s ships were able to avoid the sandbank and the tragedy that befell the ships ahead of them. The admiral’s body was washed to shore, a few miles from the drowned ship. There is uncertainty regarding Shovell’s fate. One version claims that the admiral was still alive when he made it to shore. Two women spotted a big emerald ring on his finger and stole the ring. Only thirty years later, on her deathbed, one of the women confessed to her priest about the theft and handed him the ring. This story could be a product of stereotyping since the Scilly Islands had a reputation of being a lawless and wild place. It is more probable that the admiral was no longer alive when he was found on land. Between 1500 and 2000 sailors died that night. It was one of the most horrible marine tragedies in British history. The sailors’ bodies washed ashore for days, a terrifying reminder to a terrible navigation error. The British mourned their men for months. The Scilly Islands tragedy exposed a well known but complicated conundrum, known as “The Longitude Problem”. 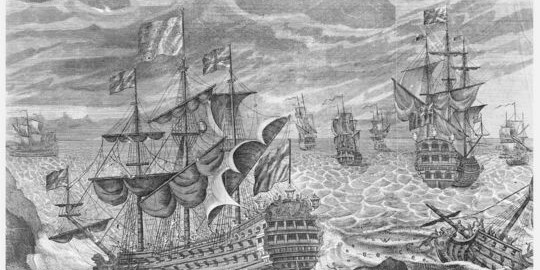 Actually, it did much more than expose it: It encouraged the British to solve it, which led to a dramatic revolution in the marine navigation field – a revolution that was a milestone of world globalization as we know it today. In order to understand the longitude problem, we want to take you back in time, to the 11th century and to a lucky Muslim scholar named Muhammad Al-Idrisi. Al-Idrisi was born in 1099, in North Africa. He grew up in Spain, which was at the time, under Muslim authority. Al-Idrisi was an explorer who traveled from Spain to Lisbon in Portugal and all the way to Damascus in the Middle East. During his travels, he developed a love for geography and science. His travels brought Al-Idrisi to Palermo in Sicily, where he met a man that shared his love for geography. That man was Roger the Second, king of Sicily. Yeah, Al-Idrisi was a very lucky scholar. Southern Sicily was in constant contact with the Muslim world, hence, local Christianity was more cosmopolitan and less strict than in the rest of Europe. King Roger the Second, an enlightened and curious man, surrounded himself with doctors, philosophers, mathematicians, and scholars from various fields. The king asked Al-Idrisi to collect all the data he had on earth – places, countries, cultures, climate, fauna and flora – and use it in order to create one big encompassing map; a sort of Google Earth of the middle ages. It wasn’t an easy task, but Al-Idrisi gladly accepted the challenge. With King Roger’s financial backing, Al-Idrisi established an academy in Palermo, full of curious students, dedicated only to geography. Also, Sicily’s location in the center of the Mediterranean basin made it a central transit station to merchants from around Europe, the Far East, and Africa. In his chambers, Al-Idrisi hosted visiting merchants and questioned them thoroughly regarding the countries they traveled through. It is hard to imagine a better starting point for this kind of research in the 11th century. After fifteen years of comprehensive research, countless interviews and rummaging through old books, Al-Idrisi finally published his ultimate map. He named it “Tabula Rogeriana” – the book of Roger – in honor of the king who sponsored the research. Compared to previous maps, Tabula Rogeriana was very accurate, and it became the geographical authority for the next three hundred years. But when looking at the map with modern eyes, the way we know continents and oceans, the Book of Roger is a bit… Mmmmm… how should I put it? You can certainly identify the general shapes of Africa, Asia, and Europe, and the course of the Nile and its sources are charted quite accurately – but it’s just not it. With no disrespect to the fifteen years, Muhammad Al-Idrisi invested in his map, the outline of continents is incorrect, as well as the distances between them. The world reflected in the map looks different…it’s not a good map, in today’s view. The fact that the Book of Roger was so inaccurate, despite the fact that Al-Idrisi had almost all the possible resources available, demonstrates how hard it was for scholars of the time to draw accurate maps – and so it’s no wonder that mariners had a rough time navigating long distances at sea. Contrary to popular belief – the ancient Greeks were well aware that the world is round, even as early as the fourth century B.C. 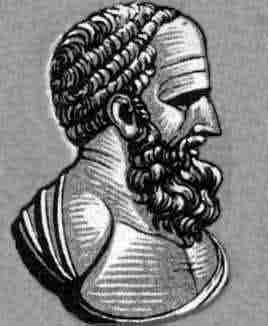 The Greek philosopher Eratosthenes calculated the Circumference of the planet earth with remarkable accuracy – only one percent digression from the measurements known to us today. The most significant geography scholar was undoubtedly Claudius Ptolemy who lived in the first century A.D. His maps were full of errors and inaccuracies, just like his predecessors – but Ptolemy’s real contribution to cartography was a simple, yet powerful, idea: The coordinate system of longitudes and latitudes. Longitudes and latitudes are like a grid that covers the earth. Latitudes are the horizontal lines parallel to the equator. One of the latitudes is defined as zero latitude – that’s the equator that divides the earth into two equal halves. All the other latitude lines are given in degrees relative to the equator, for example, New York City is located at latitude 40 north of the equator, while Sydney, Australia is located at latitude 34 south of the equator. The longitudes are the vertical lines that divide the earth into equal slices from pole to pole, like orange slices. The zero longitude – also known as the Prime Meridian – is the longitude that passes the British Royal Navy Observatory in Greenwich, England. All the other longitudes are given in degrees east or west of the Prime Meridian. For example, New York is located 74 degrees west of Greenwich, and Sydney is 151 east of Greenwich. Together, the grid of longitudes and latitudes allows us to accurately indicate locations on a map. The fact that we still use Ptolemy’s system two thousand years later – with necessary changes here and there, of course –, is a testimony to the greatness of this idea. Like many other fields of knowledge, Ptolemy’s geographical ideas were lost to Europeans during the Middle Ages. The maps that the medieval people drew were religious maps, with the purpose of presenting a religious perspective of the world rather than a geographical one. That is why Jerusalem was almost always located in the center of the map, indicating its significance as the center of the world. The Garden of Eden was also marked in many of the maps, usually somewhere in Asia, and the maps themselves were oriented towards the east: that is, the top part of map pointed eastward. Hence the origin of the word “to orient”. Since the European maps weren’t so accurate, and the Muslim Scholars’ maps – as we found out – were only slightly better, it is no wonder that during the Middle Ages sailors weren’t thrilled to travel far from the shore. One of the few ways to know your location with any degree of accuracy was by identifying known cities, harbors, mountains, and so on. but at times, the sailors had no choice. Severe weather or strong currents forced sailors to drift far from the shore and into the sea. When that happened, they usually relied on several basic and ancient navigation methods. The simplest method was known as “dead (or ded) reckoning”. It’s a simple technique, really. If you know, for example, that your fridge is ten steps forward, and three steps right of your couch, you could close your eyes, count your steps and turns and be sure that you have reached your destination. When sailors used “dead reckoning,” they turned their boat in a certain direction, measured the sailing speed and how long they were moving – and calculated the ship’s current position. Yet there was a problem with “dead reckoning”: its accuracy, or rather its lack of… For example, it was extremely difficult to measure the ship’s speed. A common way of measuring speed was to throw a log in front of a ship, and when the bow passed the log the navigator would start reciting a song while tracing the movement of the log. As soon as the log passed the rear of the ship he would stop singing and according to where the song was cut off, he could calculate the time that passed. Since the length of the ship was known, it was possible to calculate the speed of the ship. The measurement results were often written down in a special notebook, called the ‘logbook’ – a term still used today. But reciting a poem or singing are not an accurate way of keeping time, and so the calculated measurements were nothing but a very rough estimate. Even when the hourglass was adopted as a way to measure time, navigation was still very inaccurate. A compass, for example, was known to be an unreliable navigation instrument. The compass needle was affected by stored metals, or even by magnetic rocks located near the earth’s crust – so keeping the ship sailing direction constant was a challenge. At the time, sailors didn’t know what could affect a compass; some believed that even garlic could change the direction of the needle. All these errors, as small as they were, accumulated as the sailor’s journey went on, so much that he could eventually find himself far away from his destination. This meant that “dead reckoning” was efficient for short sailings only. For crossing large bodies of water, like the Atlantic Ocean, this method wasn’t nearly accurate enough. Navigating by the stars was a better method for long distances. If one could identify a known star in the sky – it was possible to calculate the latitude the ship was in. For example, Polaris – The North Star – is an easy star to locate in the sky, and is placed right above the North Pole. So, if the star is right above your head, then your ship is near the pole, or in other words – Latitude ninety north. When the northern star is forty-five degrees above the horizon, your ship is on latitude forty-five north. Mariners measured the angle between the horizon and stars with instruments such as the astrolabe and the sextant. Well, when you knew what latitude your ship was at, it was easier to reach your destination. For example, A sailor traveling from Denmark to London could sail south along the shore until reaching latitude fifty-one north – and then sail west on that latitude until reaching the London harbor. It made the voyage much longer and presented logistical difficulties – but it meant you wouldn’t be fatally crashing into a rocky coastline. These simple methods allowed Columbus and other explorers of the Age of Discovery to cross oceans and circumnavigate the globe. But as global maritime trade boomed, so did the need for accurate and reliable navigation – and that meant finding your current longitude. As the terrible tragedy of the Scilly Islands demonstrated, as long as ships couldn’t find their way safely during severe weather conditions or even a cloudy night, marine trade was doomed to remain limited and full of risks. For England, an island surrounded by stormy seas, finding a solution to the longitude problem became a vital necessity. For that reason, It’s mind boggling to realize that all this time, the basic solution for finding the longitude was already well known. Hipparchus of Nicaea, a Greek philosopher from the second century, had already invented a simple and elegant way to calculate longitude! Remember, longitudes divide the earth into equal slices. Every twenty-four hours, the earth completes a full 360-degree revolution. That’s fifteen degrees per hour. Also, remember that the sun is highest in the sky at twelve o’clock at noon. Now let’s assume that I’m at sea, and the sun is right above my head: then I know for certain that it’s twelve o’clock at my current location. Now, I’m holding in my hand a clock that shows the local time in my original home port – say, London. Right now, while it’s noon in my location – the clock tells me it’s 11 o’clock in the morning in London. What that means is that there’s an hour’s difference between me and London – and since an hour is 15 degrees, I know now for certain that I’m on longitude 15 degrees East. It’s that simple! All a navigator had to know is what time it was at the home port, and what time it was on the ship. Yet theory aside, and reality aside – 18th-century clocks – or “chronometers” as we will refer to them here – didn’t meet the strict accuracy requirements of marine navigation today. No surprise there… An accumulated error of just four minutes over a few weeks translates to a navigation error of sixty miles. Pendulum chronometers were already accurate enough – but only on land. The conditions at sea were too difficult for a pendulum’s delicate mechanisms: the rolling motion of the wave disrupted the motion of the pendulum, lubricating oils often froze during cold nights, and metal springs lengthened under the hot sun. So in 1717, ten years after the Scilly Island tragedy, the British government offered an award of 20,000 pounds – an amount equivalent to a few million dollars in today’s terms – for the person who would invent a reliable method for determining the longitude of a ship with the accuracy of at least 30 miles. A “Longitude Committee” was established in order to examine proposals, and it was led by none other than Sir Isaac Newton. Many proposals made it to the committee’s desk. Some were strange, some absurd. One of the proposals, for example, was to anchor a few thousand ships all around the world and have each of them fire a rocket at exactly midnight. This way, any sailor would know what time it is in Greenwich. A German scientist named Tobias Meijer proposed a more practical idea: He suggested measuring the angle between the moon and other stars. Since the moon travels across the sky and the stars do not – measuring the angle will allow a sailor to calculate the current time with accuracy. It was a valid idea, but it also required a lot of time and effort in order to prepare accurate astronomical tables. Around that time, an unknown carpenter named John Harrison started thinking about the longitude problem. Harrison had practical experience of building accurate land clocks, mainly due to his experience as a carpenter. The main limitation of a pendulum mechanism was its energy source: gravity. As long as a pendulum was placed on solid ground, stable gravity made sure it would move from side to side in a set rhythm. With the rolling of waves, however, a pendulum easily lost its synchronicity. Harrison thought of an innovative chronometer mechanism that was based on a spring that replaced gravity as the source of clock’s energy. He also incorporated other ideas in his chronometer, for example, some of the delicate mechanisms were designed from materials that had a reverse reaction to temperature changes: while one material shrunk due to the cold – another extended. This way, the effects of temperature change could be eliminated. Harrison presented a sketch of his ideas to Edmond Halley, the Royal Astronomer. Halley was extremely impressed by Harrison’s design and helped him obtain initial funding to build a model. Three years later, in 1736, Harrison presented his invention to the Longitude committee. Isaac Newton was skeptical: He believed that astronomical measurements were the only viable solution to solving the longitude problem and that Harrison’s chronometer was nothing more than an interesting gadget. To prove himself right, Harrison took his chronometer on an experimental sailing to Portugal and back. The journey was a nightmare for poor Harrison who was seasick from the moment the ship left port. But once back near the shores of England, the ship’s navigators calculated its location: Harrison looked at the clock, found the longitude, and immediately noticed a digression of a few dozen miles. According to his calculation, they were much closer to shore than what the navigators thought. He said so to the captain, and shortly after he was proven right: the ship made it back safely to port. This impressive success changed the committee’s attitude towards Harrison, the amateur clock maker. Despite still not meeting the strict requirements needed to win the award, the committee granted Harrison additional funding to build a newer and more accurate chronometer. For two years, Harrison struggled with his original sketch and finally made a dramatic decision. He realized that the new mechanism, as good as it can ever get, will never suffice to meet the thirty-mile accuracy requirement. He decided to ditch the original mechanism and start over. Harrison designed one clock after another, designing and restarting, building and destroying. Twenty-three years passed. After all that time, a revolutionary idea came to his mind: Instead of a heavy and immobile chronometer, Harrison decided to build a small chronometer which could fit in a pocket. At a first glance, this might sound silly, since if a heavy and stable chronometer couldn’t maintain accuracy, how could a small and delicate one? Not to mention that at the time, no one even believed that it was possible to build such a small and accurate chronometer. It might sound like he was full of himself, but maybe he wasn’t completely wrong–here we are, still talking about it today, a few hundreds of years later. Harrison, then in his seventies, sent his son to test the chronometer. The son sailed to Jamaica where the digression was noted: less than thirty seconds over the six weeks of the journey – a navigation error of just ten miles: an unprecedented accuracy in all the long history of marine navigation. But despite proving his chronometer’s accuracy – Harrison had to wait a long time before he was awarded by the committee. Some scientists, mostly astronomers, were invested in the lunar navigation theory–measuring by the stars and moon–and would not admit to a possibility of another solution to the problem. Only after further examination, prolonged discussions with the committee members – and the direct involvement of the king himself – did John Harrison finally receive the promised award, more than forty years after entering the competition. There was only one problem: Harrison’s chronometer was very expensive. In fact, producing fifty chronometers equaled the cost of a well-equipped warship. , For marine navigators who weren’t rich–well, they had to continue using lunar navigation methods for dozens of years, even though it was more complicated and less reliable – especially while sailing under cloudy skies or in severe weather, when astronomical measurements were hard to gather. Only in 1815, was a way invented to mass produce pocket chronometers – and using them became a standard in the British navy. By then, other inventors were credited with the chronometer innovation and with time, Harrison’s name was forgotten. His original designs were left in the basements of the British Royal Navy Observatory where they rusted away, year by year. In 1920, a retired navy captain named Rupert Gould accidentally found Harrison’s chronometers. Gould, being an amateur clock maker, convinced the navy to allow him to work on the chronometers, on a volunteer basis, to eventually present them at a museum exhibition. He dedicated several years to repairing and reviving the chronometers, and made them usable once again; he also published a book about the history of chronometers – and about Harrison’s revolutionary invention. Due to Gould’s efforts, Harrison regained the honor he deserved. He is now considered to be one of the most important inventors in British history. A commemorative stone was placed in his honor in Westminster Abbey, the same church where Admiral Shovell was buried. The stone marks the longitude of the church. Now, at last, the admiral can be certain of his location.